In order to equip the Chapter Leaders and members on the skills in public speaking, the ASP conducted a Public Speaking Training and Workshop last 5 July 2014 at the Parañaque City Hall. Chapter leaders and members came all the way from as far as Bicol just to be trained in becoming effective public speakers and learn from the experts: ASP Chair Emeritus Erlinda Koe; President Janette Pena; Trustees Perlita So and Grace Adviento; and Members, Teacher My Sorongon and Evert Malapad. Tita Dang spoke on everything about public speaking -- do’s and dont’s, preparations before and during the speaking engagements, preparing an effective presentation, etc. Teacher My spoke about EDEIP, which is essential in autism awareness. Tita Peng spoke about on how to be an effective speaker on training the SM frontliners. The atmosphere inside the venue was fun-filled and a learning experience as it was not only a time for them to learn but a time for Chapter leaders and members getting acquainted with each other. ASP Lagro’s Mayette Tan shared that the training was a very empowering experience for her as she got to know more of other Chapter Leaders and some members. Dr. Anawi Tolentino, from Hagonoy Chapter, echoed the same. 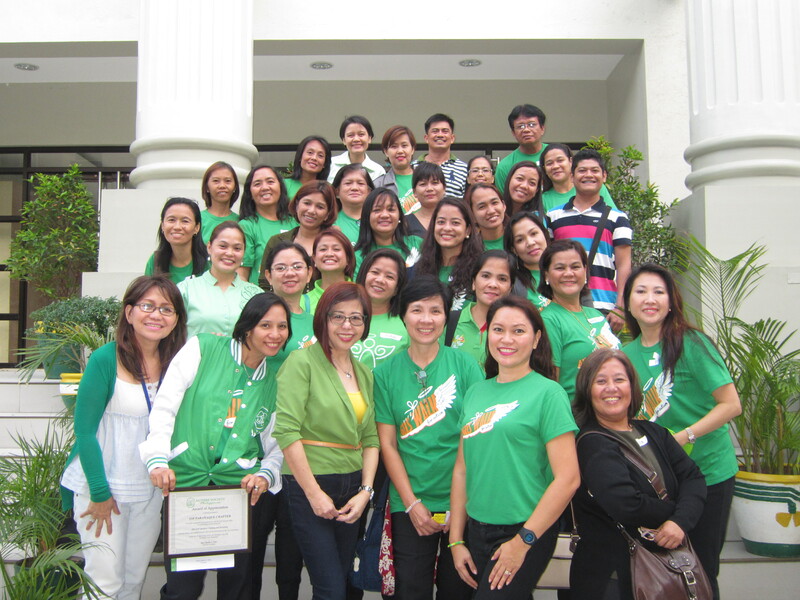 “One whole day of trainors’ training is indeed a great learning experience for me, because it made me realize that we as parents and carers of children with autism can bond together and should advocate for their needs and rights with one strong voice,” she said. Melanie Liang, from ASP City of San Fernando Chapter, shared that “the Speakers Training by the ASP National was a totally awesome experience for most of the participants. It was fun because most of the chapters joined in by sending off their representatives for the training. It was a learning experience because we were equipped with more information about autism -- details that we thought we already know, but we don't. It was inspiring because the force of the national team shared their own journey as ASP speakers, starting from being plain mothers up to being the voices of this advocacy.” She praised the facilitators for being an expert in the field of public speaking. “Ma'am Dang has this contagious energy that filled the room for hours. Her coaching skills squeezed out the little speakers within us. The insights of Ma'am Peng and Ma'am Grace and the rest of the team had fired up the enthusiasm in everyone's heart and mind. It was pretty amazing,” she said. The members were grateful for this training as they gained a learning experience on being a public speaker. For Melanie, it made her realize that she could go further than being just being an ASP member by becoming a public speaker and to become the voice of his son, Josh. As the training came to an end, the members were looking forward to be an effective speaker in the future. They promised that they will train more and polish their skills in public speaking. “All of us in that one room has a child with autism - uniquely different from one another with different needs and yet - all of us are willing to be trained and advocate as ONE not just for one child but for the whole autism community. Each of us can start with our chapter members – inform them what this is and how we can be better advocates not only to them but to everyone willing to listen.” Dr. Anawi said.